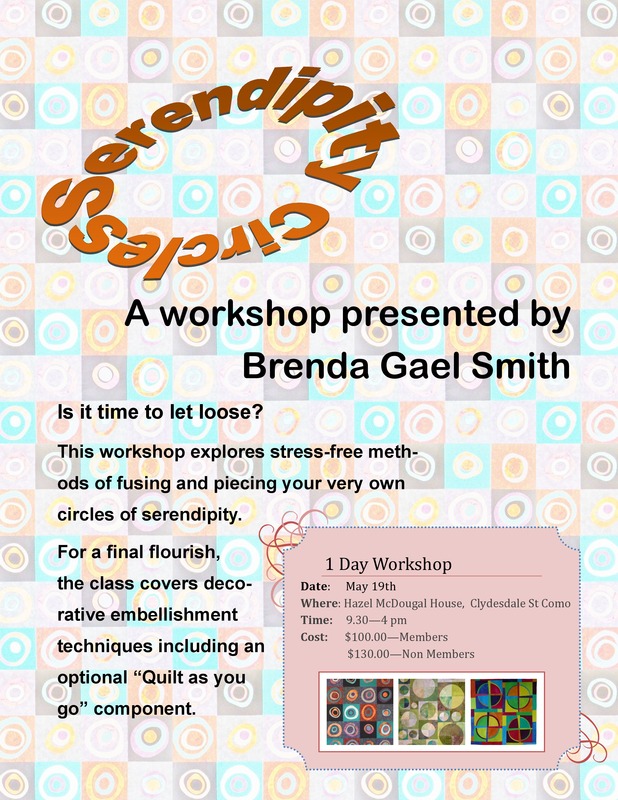 There are still places left on the two workshops to be given by the renowned Australian quiltmaker and author, Brenda Gael Smith, in May 2014. 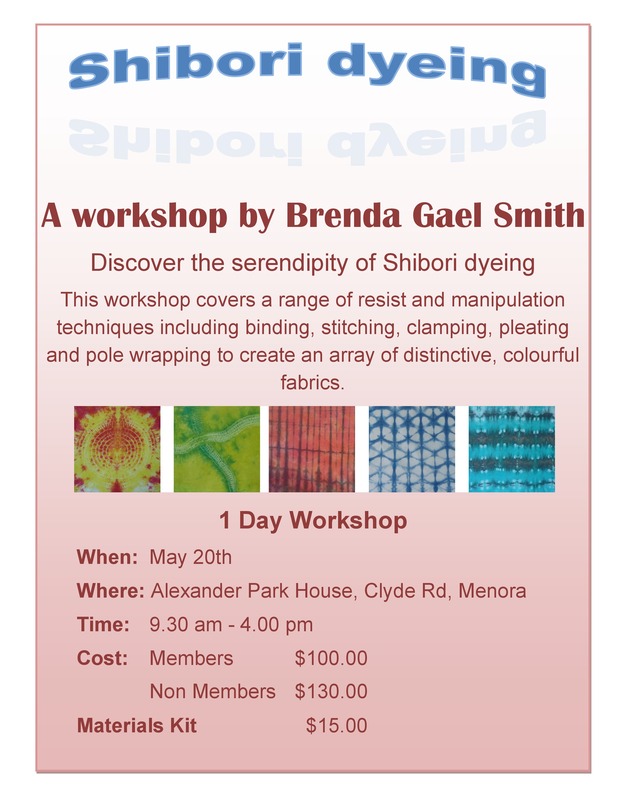 Go to her website to see the amazing work she does and for more information on the workshops – ‘Serendipity Circles’ and ‘Shibori Dyeing’. Hello Dawn, Are there any places left for the workshop on 20th or is it all full. I will be in Perth that day.